As technology pervades our everyday life and material culture, new possibilities and problematics are raised for design. Attention in contemporary design discourse is shifting ‘beyond the object’, to the qualities of processes and experiences. The boxes and screens typically the ‘object’ of interaction and interface design are miniaturizing, even disappearing, as computation is integrated into familiar materials and ordinary objects. This opens possibilities – for example, as computer and materials science converge with fashion and architecture in smart textiles and intelligent environments – even as it turns us back, in new ways, to traditional design disciplines and practices. In this context, design is not only about the spatial or physical form of objects, but the form of interactions that take place – and occupy time – in people’s relations with and through computational and interactive objects. As argued in this thesis, a central, and particular, concern of interaction design must therefore be the ‘temporal form’ of such objects and the ‘form of interaction’ as they are used over time. Furthermore, increasingly pervasive technology means that the temporality of form and interaction is implicated in more widespread changes to the material conditions of design and of society. 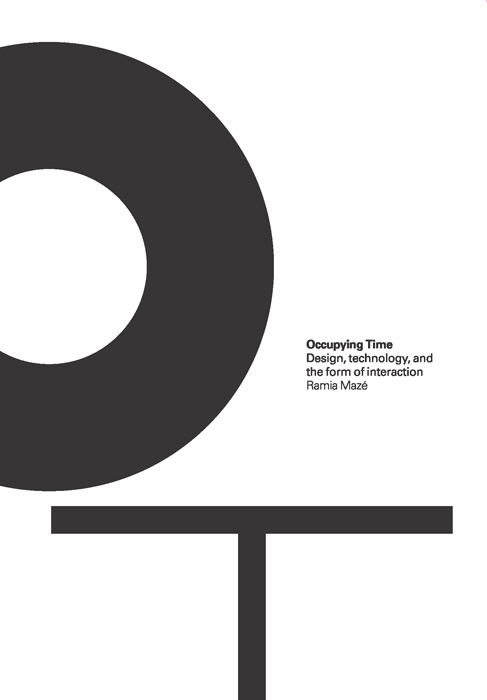 Challenging conventions – of ‘formalism’ and ‘functionalism’, ‘good’ and ‘total’ design– temporal concerns and implications require new ways of thinking about and working with the materiality, users, and effects of design.